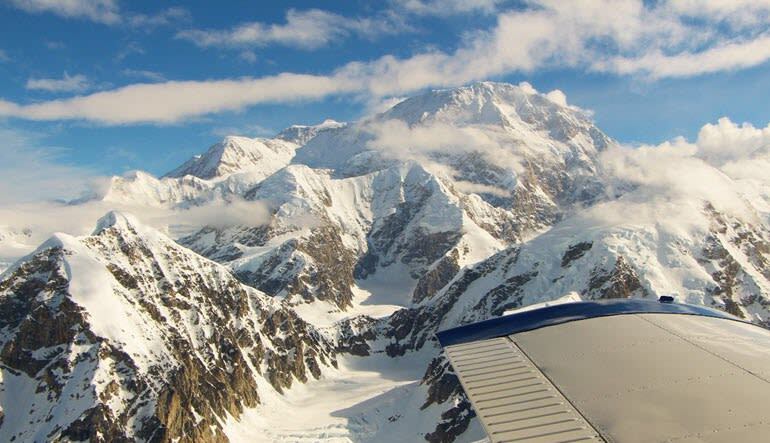 Get up close to Denali (formerly Mount McKinley), the highest point in North America at 20,237 feet. 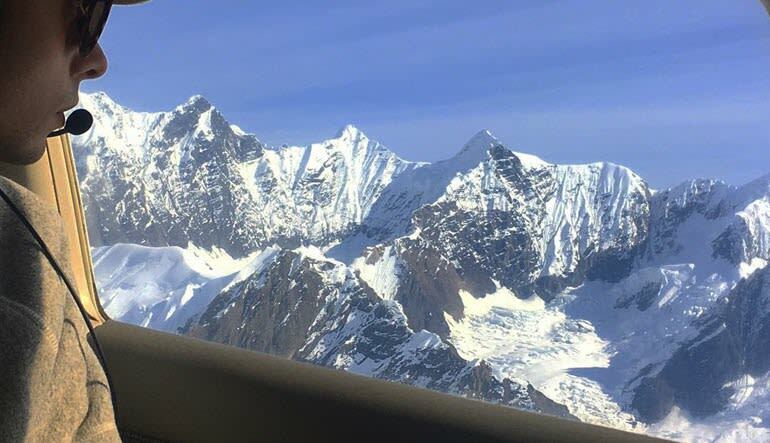 Get up close to Denali (formerly Mount McKinley), the highest point in North America at 20,237 feet. 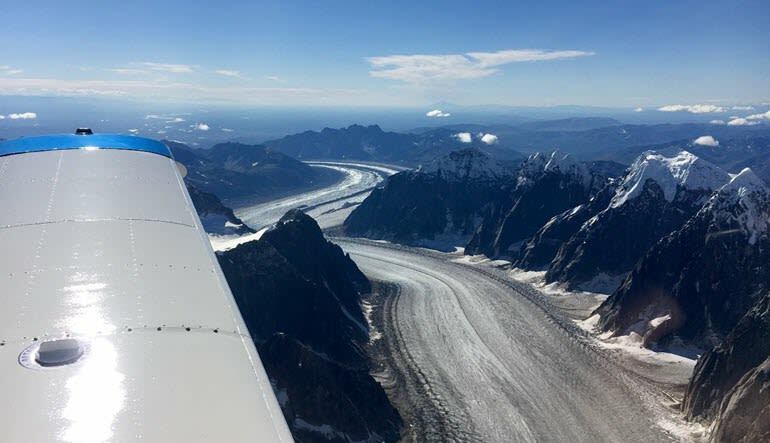 Climb along the “spine” of the Alaska Range to see the massive Muldrow Glacier and the near-vertical Wickersham Wall, the north face of Denali. Experience braided rivers, glacial valleys, and alpine tundra. Tours return along the Stampede Trail with a fly-over of the "Magic Bus" made famous by the book and movie Into the Wild. The entire tour is over Denali National Park, covering nearly 200 miles of wilderness. Flown and narrated by expert Alaskan Bush Pilots. Every tour is fully interactive. Allow 3 hours total including hotel transfers. Pick up times are thirty minutes to one hour prior to departure. For your security, at check-in you are required to present the credit card that was used to pay for your booking and matching valid photo identification. The name listed on your credit card must be identical to the contact name listed on your booking.